Let me start right out by admitting I didn’t even realize Ford still made the Expedition. Parking lots are full of the compact Escape; and the larger Explorer is seen daily, especially in use by many police agencies. Maybe I was confusing the Expedition with its similarly-named but much more humungous Excursion, which did go out of production after the 2005 model year. They were so large I believe they triggered property tax bills for their owners. 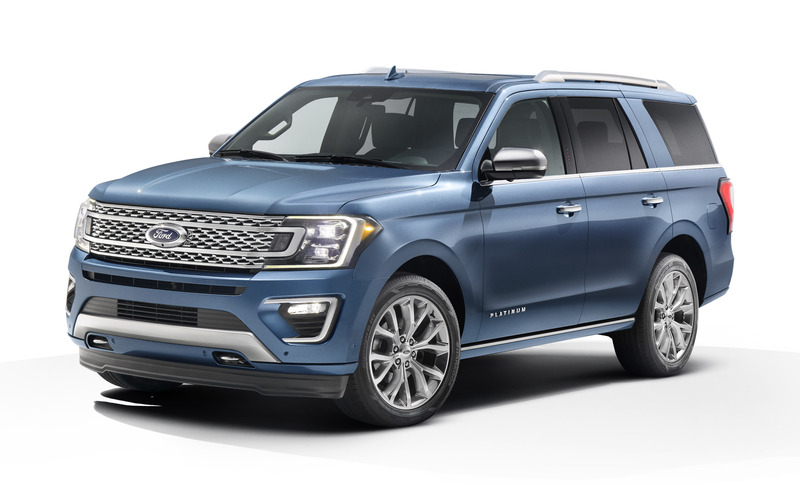 Anyway, the Expedition has just been given a complete makeover, and Ford claims it now will have more towing capacity than any other full-size SUV (the actual numbers have yet to be announced). It will be built in Ford’s Louisville, Kentucky assembly plant, available (in the fall) in three different trim variations: XLT, Limited, and Platinum. A less-fancy XL version will be offered for fleet customers, many of whom are expected to be police or emergency agencies. Ford tells us this new Expedition will be the most powerful ever (it was first introduced for the 1997 model year), with a 3.5-liter EcoBoost V-6 engine under the hood, with Auto Start-Stop and a new 10-speed automatic transmission. 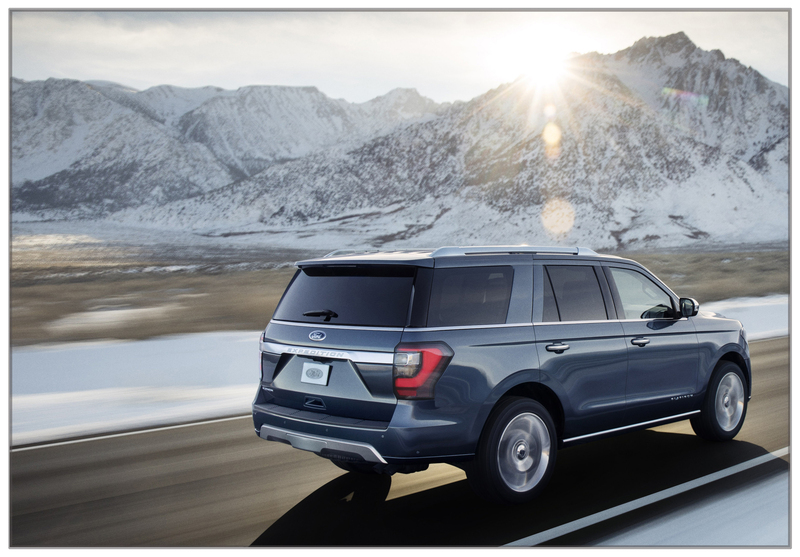 Because more than 50 percent of Expedition owners use their vehicle to pull a trailer, Ford is offering their Pro Trailer Backup Assist on the Expedition for 2018. It consists of a knob on the dash which you use to “steer” the trailer while while in reverse. 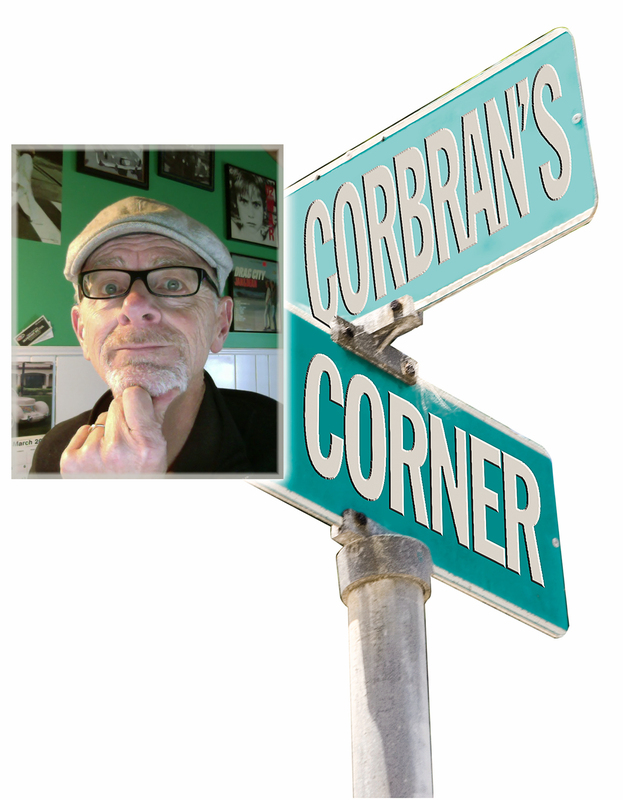 It works in conjunction with the backup camera and a target on the trailer to make child’s play out of the often-confusing task of backing-up a trailer. Also available will be 360-degree camera technology, along with enhanced active park assist, to help drivers see while trying to park the admittedly large Expedition. And when you’re driving (and not merely parking) you can take advantage of these other pieces of new technology: a lane-keeping aid to help keep lane drifting at bay; adaptive cruise-control to help maintain safe distances between you and the vehicle ahead; collision avoidance detection which will help avoid pedestrians or other vehicles in your path; and blind spot information. Of course, keeping both hands on the wheel and both eyes on the road are still highly suggested, Lol. 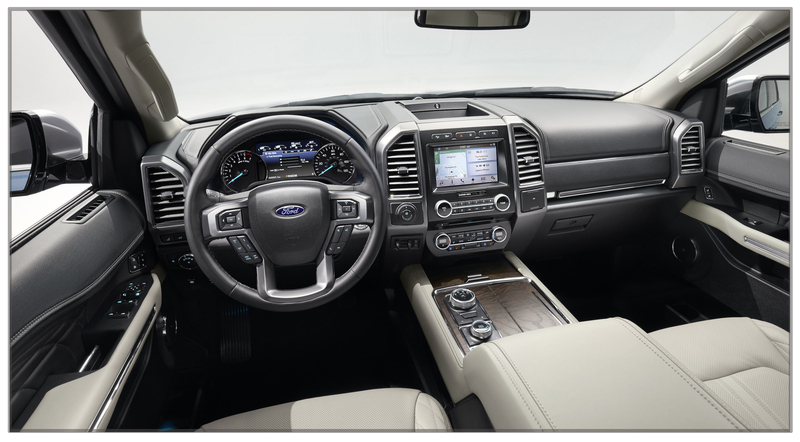 Inside the new Expedition you’ll find seating for up to eight people (along with their gear). The second row seat is on a track with a tip-and-slide function for easier third row access, while Ford says the third row has enough legroom (along with reclining seats) to make even adults comfortable back there. Second- and third-row seats both fold flat with the push of a button, leaving enough space back there for 4 x 8 sheets of plywood to lie flat with the liftgate closed. The longer Expedition MAX (below) has an extra foot of length for even more space. Styling of the 2018 model takes a different tack from previous versions which more resembled the F-150 from the front. The new Expedition seems to take its fore inspiration from Ford’s popular Explorer, while looking very much like GM’s large SUVs — Chevy Suburban and GMC Yukon, in the aft view. Overall it’s a much nicer look, IMO.